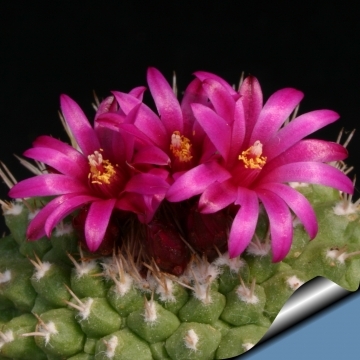 Description: This plant is very similar if not identical to Strombocactus disciformis the only noticeable difference is the colour of the flowers. Habit: It is a rare geophyte, usually solitary. 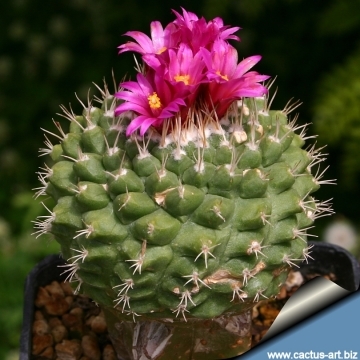 Stems: The body is flattened or spherical up to 3 cm tall, 8 cm in diameter. The crown is slightly depressed and felted. The colour is blue-green with greyish tinge. 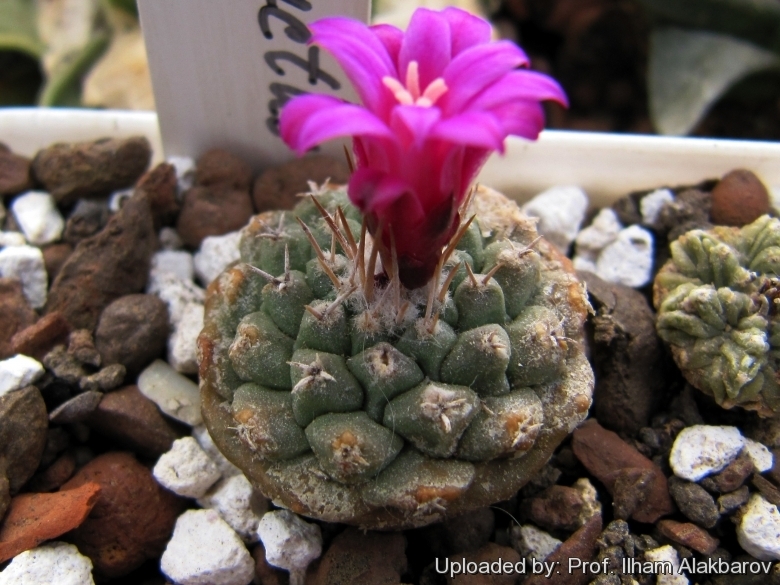 It is composed of hard, spirally arranged rhomboid and imbricate tubercles, 1 to 1.8 cm high. These tubercules are flattened and almost truncated above and somewhat horny or keeled below. 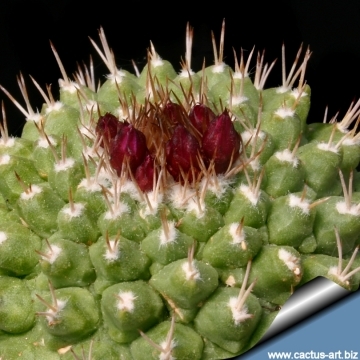 Spines: 4 to 5, erect and dark grey at the tips and pale grey at the base, 1.2 to 2 cm long. 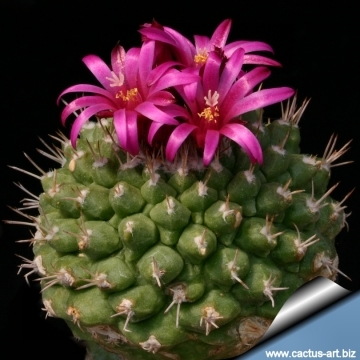 Flowers: Arise on the crown, measure about 3.5 cm in length and breadth bright magenta. 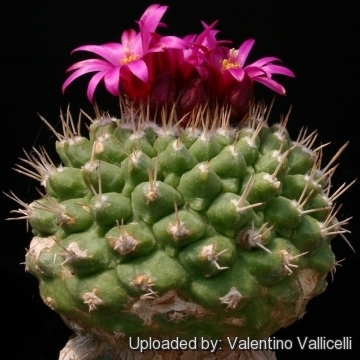 Note: Some botanists believe that a specific rank for this taxon is not necessary. Cultivation and Propagation: This plant has the same needs of the standard S. disciformis. 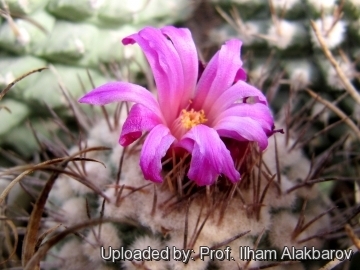 Propagation: Seed, At first seedlings are very very small, they take one or two years to reach the diameter of 1 mm!!! Once they have reached 4 years old or more they are relatively easy to grow - the problem is getting them to 4 years old!